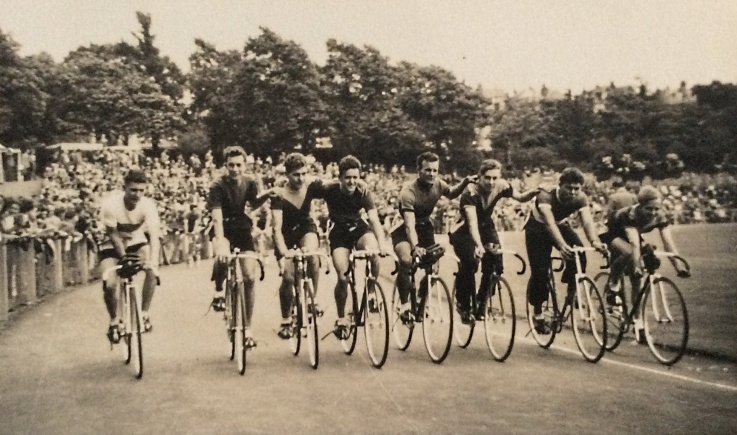 The history of the club can be traced back to president Alan Limbrey's first involvement in club cycling in 1948, when his workmates introduced him to 'The Track' at Preston Park. The Track was constructed by the British Army in 1877 and originally had a flat cinder surface - an essential piece of dressing-room equipment was a scrubbing brush to remove cinders from crashed riders' extremities. The cinders were replaced in 1936 by a tarmac surface, and subsequently two corners were banked, at the start of the home straight (‘Dressing Room Corner’) and the exit from the straight after the finish line. It remains the longest track in the country, measuring 579 metres (633 yards), and there is more information about it on Brighton & Hove City Council's website. 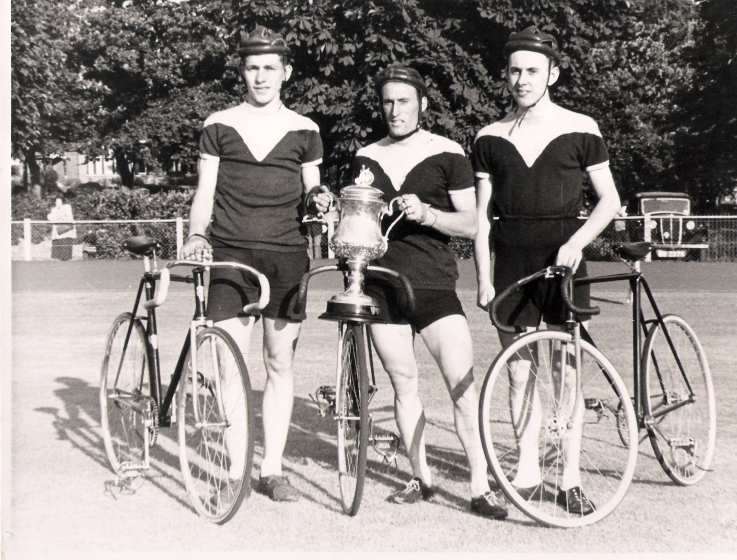 It was at the track that Alan met The Prestonville Nomads, a cycling club that had been founded in 1933, presumably by a group of cyclists who lived around Prestonville Road in Brighton's Seven Dials area, but which, like most sporting clubs, had been disbanded during the war. In 1948, the club was re-formed with £5.25 in the bank. Reg Porter, who went on to run the club for the next fifteen years, made the first entry in the cashbook on the 1st of December, and meetings were held at the Elephant and Castle along London Road, costing £1. 4s 0d each week. Alan paid 5 shillings, about a day’s wages at the time, to join. He speaks of the great comradeship in the postwar club, brought back by the list of names in the cashbook. Some of them have kept in touch, and a few ride together still. The Prestonville Nomads, identified by their bright green and yellow jerseys, were very successful. 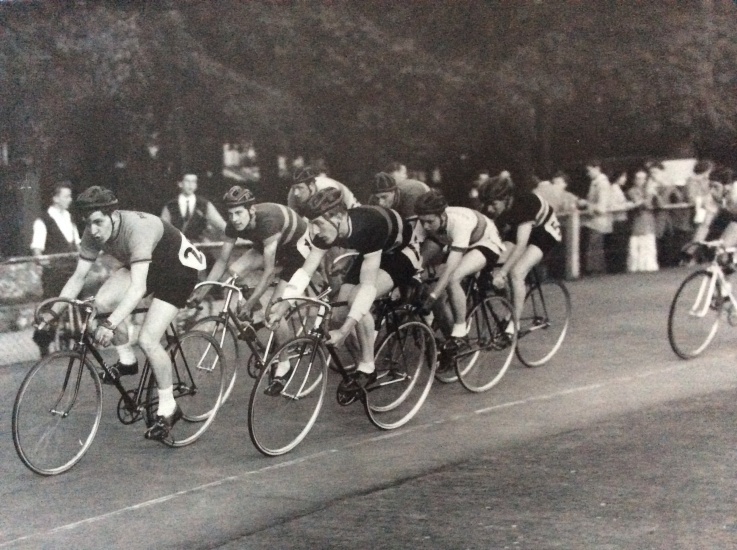 Through racing at Preston Park and on the road, they won many team and individual races as well as Sussex Championships. For years, the Nomads used the downstairs room at the Park View Hotel in Preston Drive as their club room, allowing them to enjoy racing in the summer at the track then adjourning to the pub after. On Sundays, they enjoyed club rides, which saw them, as now, cycling around the countryside of Sussex and enjoying many lovely teas together. The original members grew up, started families and had less time for cycling, and the introduction of motor-scooters such as the Vespa reduced the importance of cycling as a means of transport. The club ceased again around 1967. In 1978, Geoff Boore and Alan were riding with other clubs but decided that they wanted to race again in green and yellow. Consequently, the Nomads were reformed, this time as the Sussex Nomads. 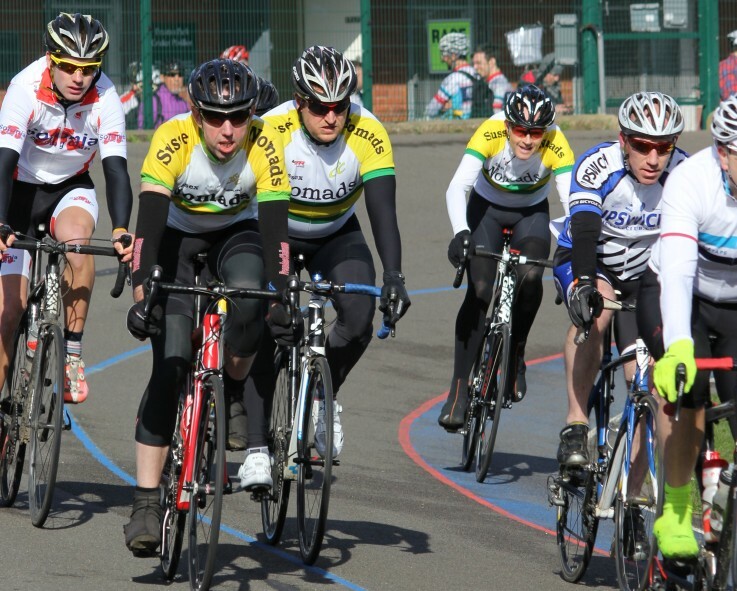 Alan still rides with the club, and the Sussex Nomads continue the legacy of the Prestonville Nomads today.